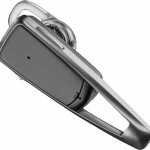 Plantronics has announced a price decrease for the M1100 Bluetooth headset. Effective June 1, 2011, Plantronics has announced the Savor M1100 will have a price decrease. The old MSRP price for the Plantronics Savor M1100 is $99.99. The new MSRP price for the Plantronics Savor M1100 will be $79.99.